Sellyns ladies & Gents outfitters. 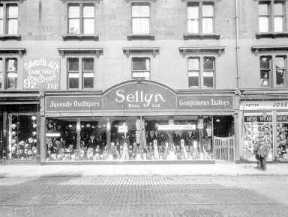 Old photograph of Sellyn's in London Rd. 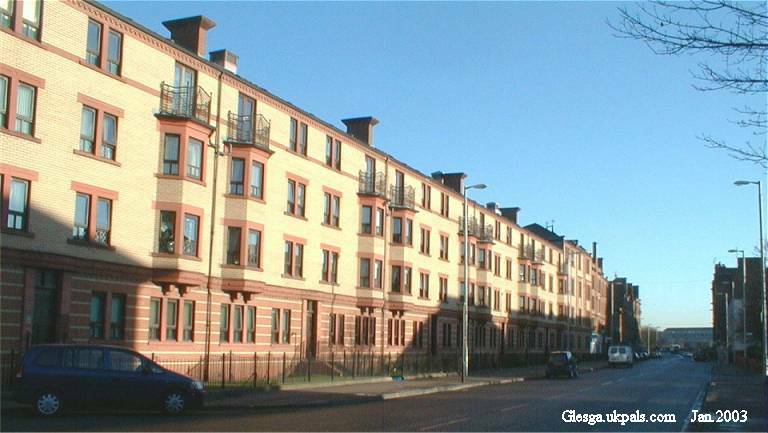 London Road new flats have replaced the old tenements. 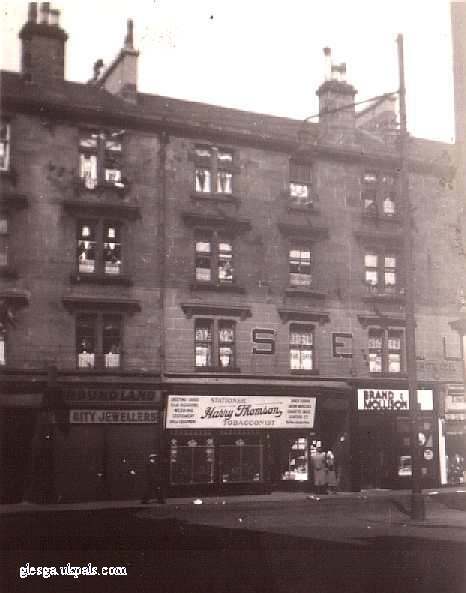 Photograph taken in London Road opposite Silvergrove Street, looking east towards Bridgeton Cross showing the flatted dwellings between Abercromby Street and Kerr Street. 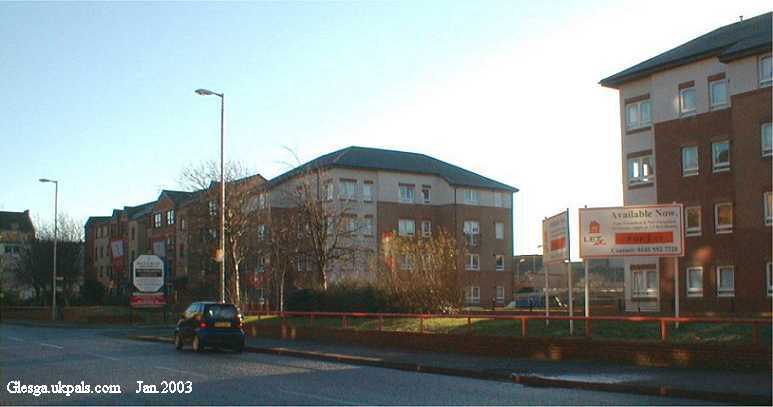 Part of this development is on the site of the old Dunn & Moore 'ginger' factory.